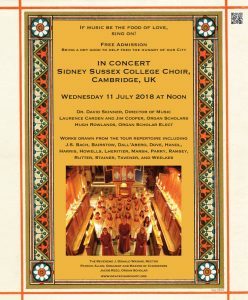 Grace Church in New York welcomes the Choir from Sidney Sussex College, Cambreidge, UK on Wednesday 11 July. The Choir will sing a concert at noon in the Church and sing again for the Six o’clock p.m. Eucharist. 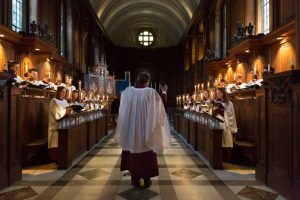 This week the Eucharist will take place in the main church rather than the Chantry. 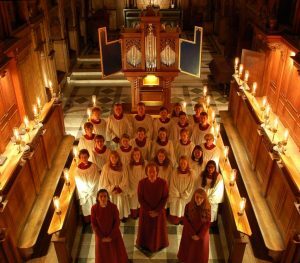 The choir will open the service with a choral prelude at 5:40/5:45 so come a little early. The Concert is free admission and we ask you to consider bringing a dry good to help stock the food closets of the neighborhood. There are so many in need. “If music be the food of love, sing on” Your dry goods such as peanut butter, tuna fish, beans, etc., can be placed in the baskets in the narthex of the church. 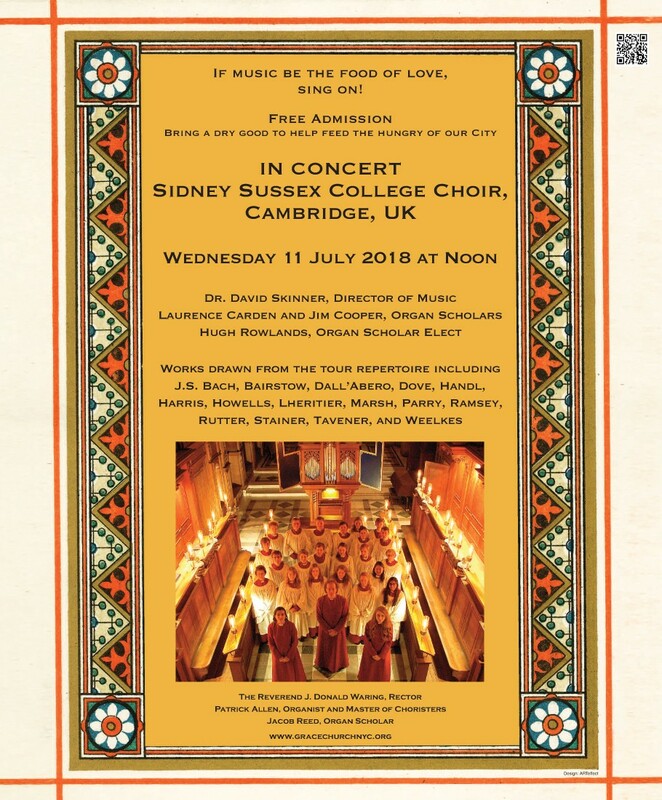 Choral Prelude at 5:45 p.m. prior to the Six O’clock P.m. Eucharist in the Church. Choral Voluntary at the conclusion of the service. 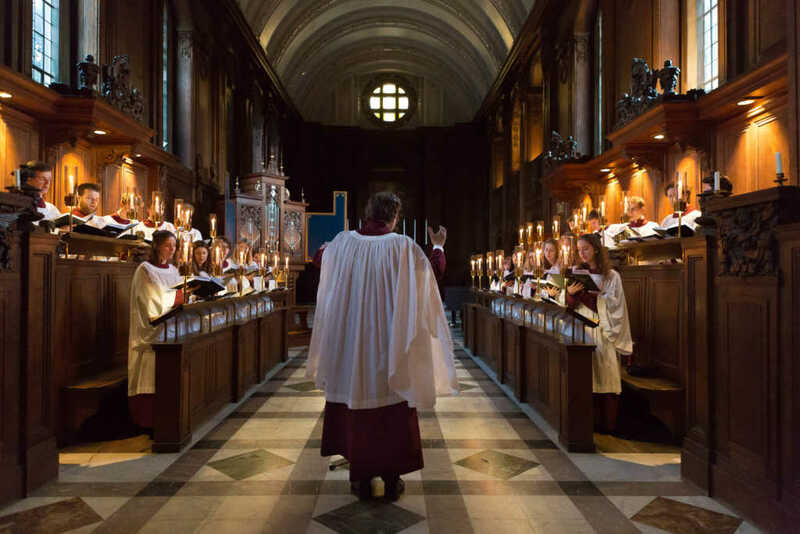 It is thought that a dedicated chapel choir at Sidney Sussex must have existed in some form since the foundation of the College on Valentine’s Day 1596. 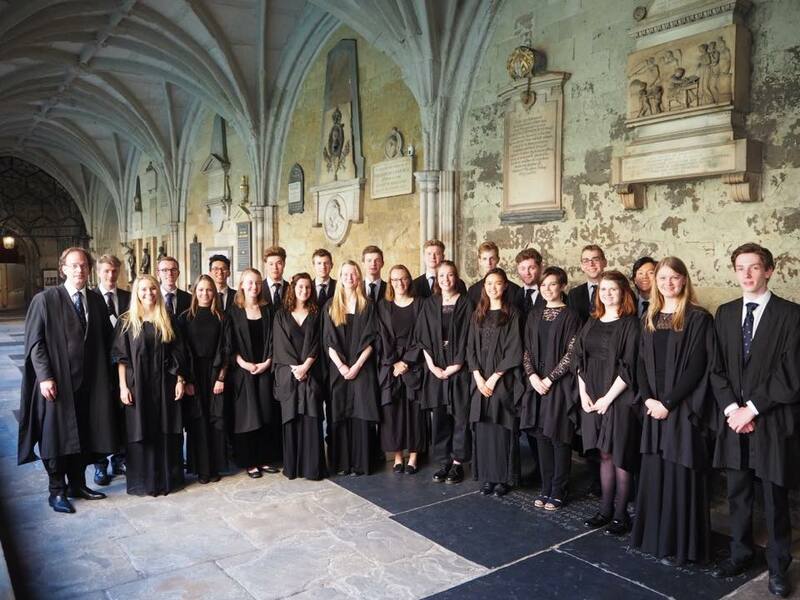 Since the admission of women to the college in 1976, the Choir of Sidney Sussex has blossomed into one of the most esteemed choral groups in Oxbridge. 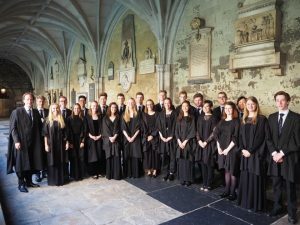 In 2009, the American composer Eric Whitacre was appointed as Sidney Sussex’s first Composer in Residence; in 2015, that mantle was assumed by British composer and Choir alumnus Joanna Marsh.